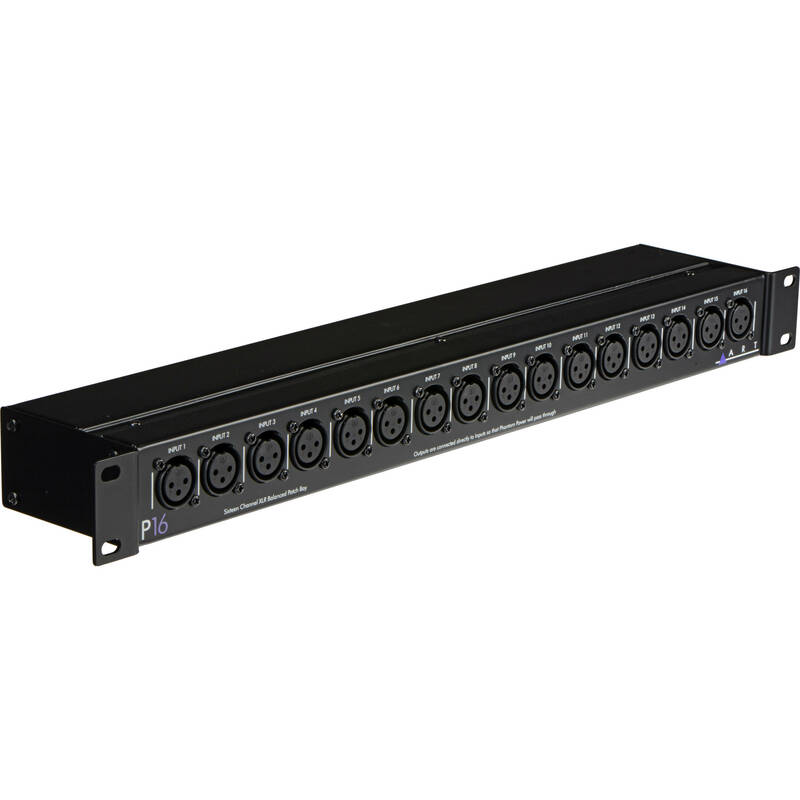 Box Dimensions (LxWxH) 20.8 x 7.0 x 3.5"
P16 Rackmount Balanced XLR Patch Bay is rated 4.8 out of 5 by 4. Rated 4 out of 5 by Anonymous from basic passice xlr patch bay in studio to relieve stress on some inputs on equipment. Feed throughs with phantom, and the passive element allows it to pass through from tube pres to instruments with little to no noise. I would prefer netrick connectors. Or gold standard for studio. Cant find in this price range - so I chose this. Good solid unit, but quality of solder/connectors could be better. Rated 5 out of 5 by Anonymous from Reversible rack ears make this perfect I bought this patchbay because it allows users to reverse the direction of the unit in the rack. Works perfectly. Rated 5 out of 5 by Melvin from Highly Recommended Site Bought the ART P16 Patch bay. Item shipped out very quickly. Efficient delivery and excellent tracking. Item in great condition. Rated 5 out of 5 by Vum from Love it. Got 3 of this for my Church and love it.